If you buy new curtains, the care label will tell you whether they need dry cleaning or are machine washable. For older curtains with illegible labels or curtains that were hand sewn, a bit of judgment is necessary. 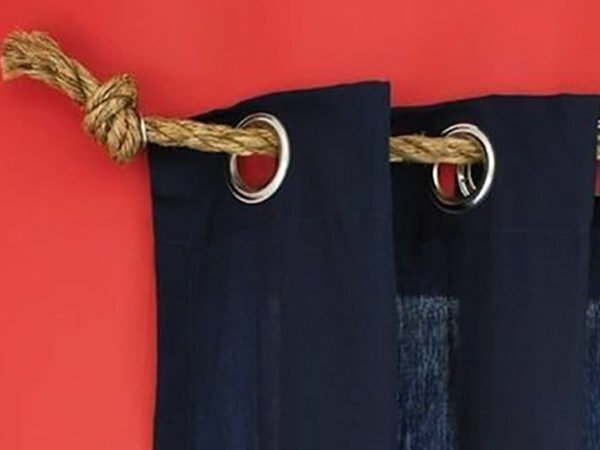 Provided there’s no complicated pleating, it’s generally safe to machine wash curtain fabrics like cotton and synthetic fabrics such as polyester, nylon, spandex and acrylic. Even where care labels say that curtains can be machine washed, washing at too high a temperature, rubbing or wringing the fabric or drying the fabric too fast – for example in a tumble dryer – can cause permanent damage. The safest approach is to wash on a delicate cycle, with cool water, and then hang the curtains to air dry. Depending on their fabric and design, curtains may shrink, discolour, permanently wrinkle or even tear if you wash them at home, whether by hand or in a washing machine. If there’s no label specifying that lined curtains can be machine washed, it’s best to err on the side of caution. Often, curtain lining shrinks more than outer curtain fabric when it’s washed and as it dries. This can distort the shape of curtains. Blockout curtains – also called blackout curtains – have rubber or polyurethane backing, designed to keep out heat and light. Unfortunately, this backing tends to be susceptible to damage. Apply any warmth and it’s likely you’ll end up with parts of the backing stuck together in a permanently misshapen mess. The backing also deteriorates easily and, especially once it has passed a certain age, may stiffen, crack, peel or tear. For these reasons, cleaning block-out curtains at home tends to be a bad idea. Professional cleaning is the best alternative. Crushed velvet, brocade, taffeta, satin, suede and delicate “semisynthetics” like rayon – which consists of purified cellulose fibres – should be dry cleaned. woollen curtains, which are prone to heavy shrinkage. Curtains with tight or complicated pleating are among the curtain types it’s a bad idea to clean at home. 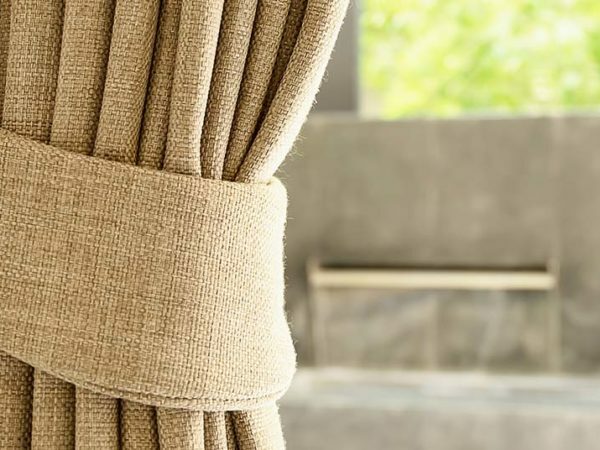 To avoid permanently damaging the pleating, rather opt for professional curtain cleaning. Decorative trims or beading on curtains may not survive home washing. Similarly, it’s a bad idea to clean curtains made of embroidered or tapestry fabrics at home. These fabrics can be fragile and are often susceptible to shrinking. If curtains are stained, there’s no guarantee that they can be returned to their original glory. This will depend on the nature and age of the stains. Still, professional cleaning is your best shot. At home, experimenting with different stain removers can result in permanent discolouration or damage to curtain fabric – and once you wash curtains, stains you’ve failed to remove may become permanent. Accordingly, if you’re not confident you can get a stain out, it’s best to get expert help. 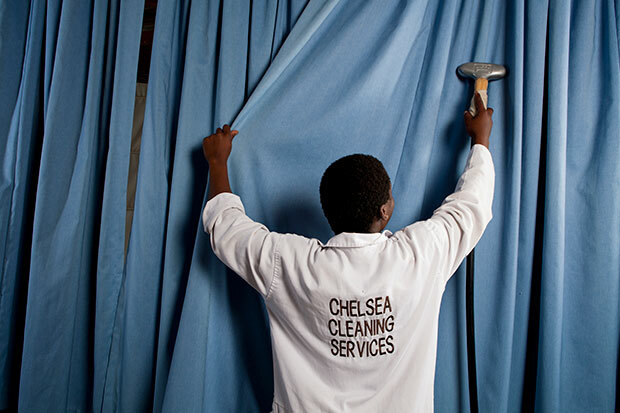 At Chelsea Cleaning, we offer professional, affordable cleaning of all curtains in the greater Cape Town and Helderberg areas. As well as cleaning your curtains, we’ll hook the curtains and rehang them for you. 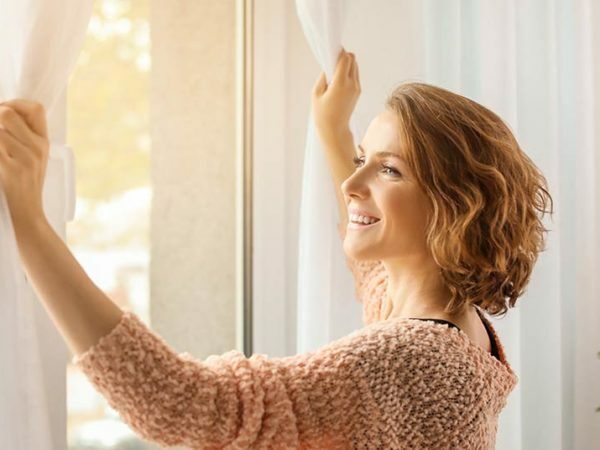 So whether you have types of curtains it’s a bad idea to clean at home or simply want nice, clean curtains without the time and hassle it takes to wash, hook and rehang them, contact us – we’ll be happy to help.